We strategically positioned to assist our customers producing all special orders bearing their brand name. Consequently, our R&D Division is heavily invested to serve several lines of new O.E.M exclusive brand products that have been continually marketed in both domestic and international markets. 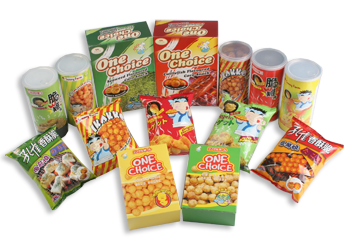 Our professional consultant team will work closely with our customers from selecting product shape, snack flavor, premium toy, and package design suitable for their market. Therefore, every customer can be assured that only high quality products with excellent taste will be delivered within a shortest time possible.